It's a good month for noodle enthusiasts of Sydney. Not only are the Night Noodle Markets on, but Ippudo (aka one of Sydney's best ramen restaurants) has opened their second store in Central Park. Known for their Hakata-style ramen with thin and firm noodles, Ippudo have won the hearts and stomachs of Japanese noodle soup lovers around the world. 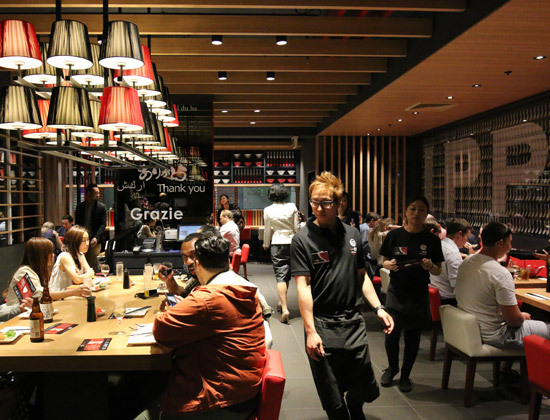 We headed to Ippudo's exclusive media launch to check it out. See the photos from the evening here. With over 600,000 bowls served worldwide since they first opened in Japan in 1985, Ippudo is set to get customers slurping their way to ramen comas from their lower ground floor location in the brand new Central Park. Their signature shiromaru (the original white, pork-based broth ramen) and akamaru ramen (a bolder red broth seasoned with garlic oil and IPPUDO's special-blended miso paste) is available, as well as a slightly spicier option for those who like a bit of spice in their life. Open from 11am to 9pm daily, your lunchtime and dinnertime ramen cravings will be deliciously satisfied at the brand new Ippudo at Central Park. See you there, ramen lovers! Searching for more of the best Japanese in Sydney? Click here!